Availability: Item is a pre-paid special order part. Could take up to 3 weeks to ship, place your order today to make it into the next order! We also carry most "ALL" of the fine line of Takegawa accessories. We carry most of the Takegawa parts & accessories. If you do not see it on our website doesn't mean we can't get it. 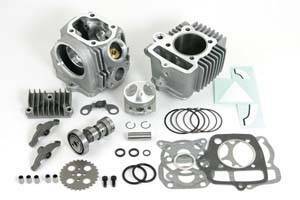 Fast50s is able order ANY Takegawa part for you! Give us a call at 530-268-7368 or email at info@fast50s.com ! Availability Remarks: Item is a pre-paid special order part. Could take up to 3 weeks to ship, place your order today to make it into the next order!